President Duterte wants to rename and open Malacañang Palace - Balita Boss! 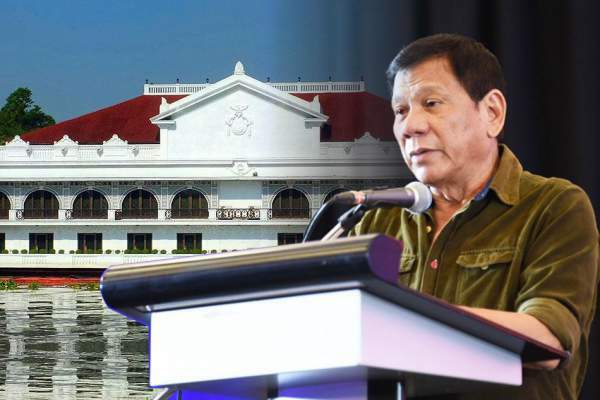 In a press conference in Davao City Thursday night on August 25, President Rodrigo Duterte said that he wants to change the name of “Malacañang Palace” to “People’s Palace”. Duterte explained that the term Malacañang sounds imperialistic. "The word 'Malacañang,' it smacks of imperialism. Totoo. Sino man ang nagpangalan ng 'Malacañan Palace'? Mga Espanyol man iyan. (It's true. Who named it Malacañan Palace? The Spaniards did.) Why should [not] I just address it as the 'People's Palace of the Republic of the Philippines'?" he said, as quoted by Rappler. The President also plans to open the Malacañang Palace to the public. Currently, the public has access to Malacañang Museum, at the Kalayaan Hall grounds. Malacañan Palace serves as the official residence of the President of the Philippines, situated in the old Manila district of San Miguel. According to the Malacanang.gov.ph, there are four possibilities on the origins of "Malacañan". Malacañan as a Place of Work - "mamalakáya, or fisherman. On this view then, the name was originally something like Mamalakáya-han – with the addition of the Tagalog suffix for 'place of,' and must have been later simplified and Hispanized as 'Malacañan'." Malacañan as a Site of Worship - "ma lakán iyán, meaning 'a place of many great ones,' or the Spanish mala caña, or 'evil bamboo' or 'evil cane'." Malacañan as the Home of a ‘Big Man’ - "Malakí iyán or 'he is a big man' he would say, gesturing towards the house at the sleeping tycoon who would not be amused at being prematurely roused." Malacañan as a Reference from the Waterway - "Malacañan is on the right bank of the Pasig River, and there is a Tagalog word referring to 'of the right,' which is malakánan." To read more, visit this link http://malacanang.gov.ph/about/malacanang/where-did-the-name-malacanan-come-from/.